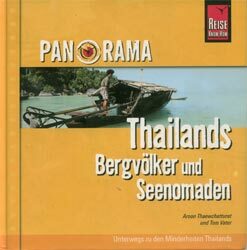 This is my photobook Thailands Bergvoelker und Seenomaden – on Thailand’s minorities -published by Reise Know How Verlag as a companion guide to the non fiction title by Tom Vater “Kulturschock Bergvoelker und Seenomaden Thailands“, published in 2006 and 2007 respectively. This photobook contains images of six hill tribes (Akha, Lahu, Lisu, Karen, Hmong and Yao) and the Moken sea nomad community. The book captures their cultures and their challenges at the crossroad of tradition and modernity.